A few years ago, I made a mid-century inspired birdhouse, modeled after the iconic Case Study houses. I created it using my growing collection of woodworking tools, like a table saw and router table, cutting complex angles, and using joints like rabbets and dadoes. It was fun and challenging, and nearly three years outside later, it's still very strong and holding up wonderfully. But, of course I know that most folks, even other creative-types and DIYsters, don't have access to all these tools. So, I wondered: is it possible to come up with a modern, handmade birdhouse that doesn't required bunches of power tools and knowledge of complex joinery? Of course it is. 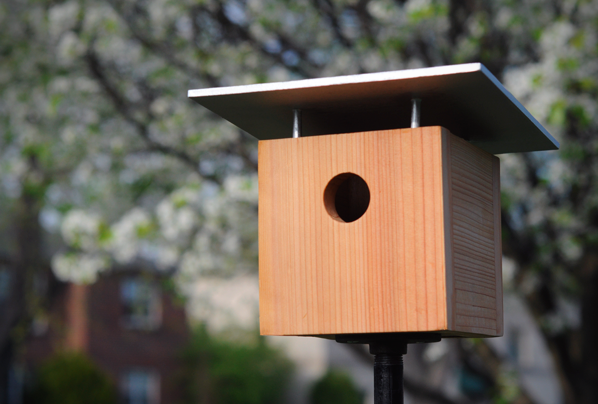 So, here's a DIY mod birdhouse that requires only an electric drill and a few toolbox staples. The whole thing can be made for around $10 in materials, and in just an hour or two. As Earth Day approaches (mark your calendars! April 22nd! ), I've been thinking about ways to reduce and reuse the things I don't need in my life anymore. I'm pretty good about recycling what I can - cardboard, papers, and bottles go in the curbside recycling, and compost I take to the local natural foods store. Plastic bags go to grocery stores with those plastic bag bins up front, along with other random thinner plastics like cereal bags, plastic wrap, and bread bags. If you don't have access to a plastic bag recycling bin, you can reuse your plastic bags by fusing them together to create a waterproof, flexible fabric! Tried And Tested: Do These 10 Pinterest Organization Hacks Actually Work? Pinterest is filled with organizing hacks, promising to help you achieve your wildest organizational dreams. But just how good are they? I set out to test 10 of them, and today I'm sharing the results with you. Click through to compare their versions with mine, and to read my thoughts on the functionality of each one. As an adult, you've got a lot of important decisions to make every year, but one of the most important is what to be for Halloween! We're only kidding - but sometimes it does seem like an overwhelming responsibility! If you're still scratching your head as to what to be, take a scroll down this list and see if anything tickles your fancy. We have costume ideas for couples, whole families and groups, or for a party-of-one. Asking yourself, "What should I be for Halloween?" Look no further. Happy Halloween! So Mother's Day is in three days, and you're empty-handed. JK! There's no judgment here - I am the absolute worst at planning ahead. But, let's not leave our moms thinking we don't care about them. 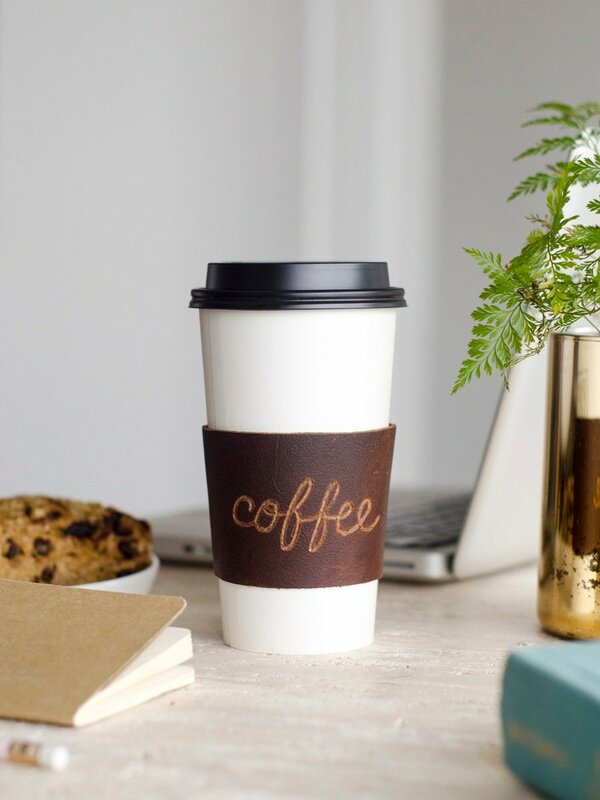 Instead of panicking and grabbing the first tchotchke that catches your eye on the way home and playing it off as totally intentional, try one of these last-minute gifts your mom will love. We've got you covered with gifts you can order online, simple ways to make a gift of flowers more special, and experiences you can share with your mom that will really make her day. Ready, set, go - you got this! Every now and then, a particular shape or design takes the internet by storm (think pineapples) and lately I've been noticing these all-seeing eye shapes everywhere. So I thought I'd jump on the bandwagon and do a fun DIY all-seeing eye mirror. Keep reading to check out the easy tutorial! 2017 has been an exciting year, and we here at Curbly have had the opportunity to do some pretty cool stuff over the past twelve months (I don't know if you heard, but we flipped a freaking house!). In addition to making over the original Curbly home, hosting an art show for a bunch of 2nd graders, going to and speaking at Alt Summit, and painting all the things - the Curbly team created a bunch of fun, original projects, too. 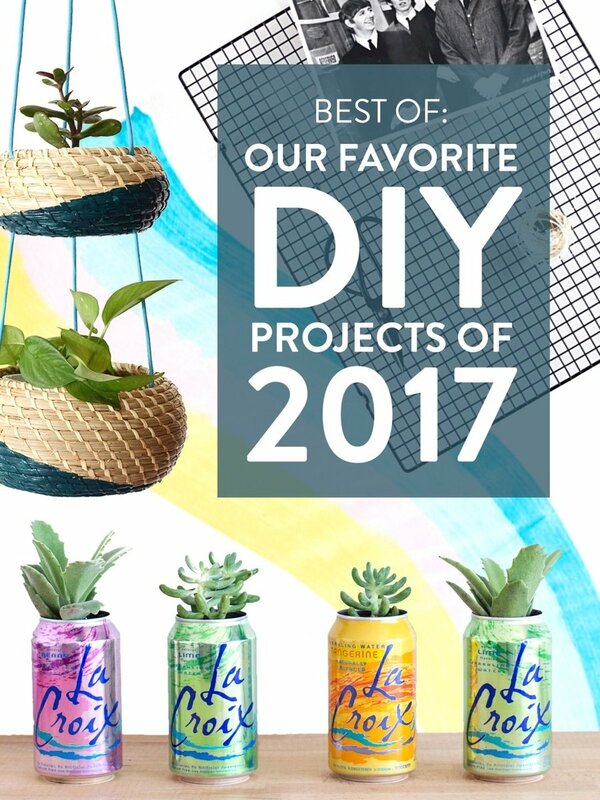 Today we're taking a look back at the best DIY projects of the year. These are the projects that you, our readers, visited and liked the most, in addition to some that we just think are real spiffy. Let's go! 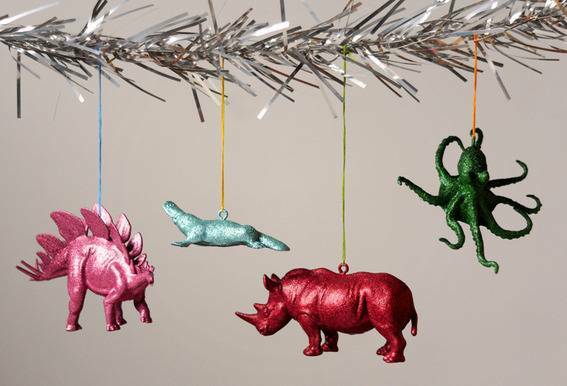 It's certainly time to decorate our homes with some much needed Christmas cheer! This year, we are focusing on adding more handmade pieces to our Christmas decor to help the holiday feel more personal and inviting! These simple and modern 3-D cork Christmas trees are a sure way to add that festive touch to your tabletops this season! How to Make a Dress from Scratch in 15 Minutes! Today I'm going to teach you how to make a dress that's stylish and convertible, in just fifteen minutes. Really. It requires only four seams, and looks deceptively simple before you put it on; the success of the dress lies in the way you wrap the ribbon around your body. 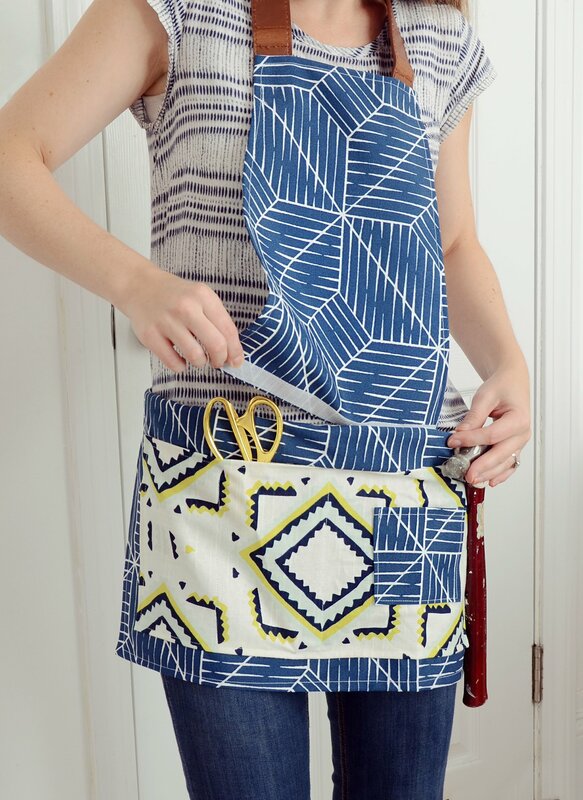 This project is easy enough for almost anyone to do - all you need to know is how to sew in a straight line. If you love drinking wine as much as you love crafting, then we've got some good news for you! Those natural corks that you might otherwise throw out can be re-purposed in a lot of different ways. Here are four wine cork projects that you can easily complete in 10 minutes or less each. Why hello there, wedding season! If you're currently planning or have planned a wedding before, you know that there are a million little details to consider. Centerpieces, wedding favors, planning a menu that is considerate of everyone's dietary needs, seating arrangements that keep peace in the family - the list could go on forever. Flowers are a huge part of weddings, but fresh flowers generally need to be picked up day of, adding to your already huge to-do list. If you're DIY-ing your upcoming nuptials, making a faux bouquet ahead of time can help you tackle your checklist in a timely fashion. Plus you'll be able to keep the bouquet forever as a memento of the special occasion. Getting married? Congratulations! Now onto the scary part... paying for the wedding. It's expensive any way you look at it, but there are plenty of areas to cut back. Here are 14 sneaky ways to save money on your wedding. Save money on expensive pots and planters with this quick and easy project that will conceal any ugly plastic container in about five minutes, for less than $1 a piece. Using some leftover contact paper, you can whip up some faux metal containers to hide the ugly plastic ones your store-bought houseplants came in. I've been making a concerted effort lately to remember to recycle as much as possible, and it's been working... we have double the amount of recycling as we do trash lately. And then I got to thinking - there must be all kinds of fun DIYs that I could do using all those empty vessels. Keep reading to check out four easy ones that I tried out. The inspiration for this easy holiday project came to me in a dream. I know, I know...that sounds like an elaborate and somewhat ridiculous setup for a blog post, but it's true, in this case. Sparing you the details, I'll just share the effect- in which I woke up a few days ago, and immediately felt compelled to Google "sparkly OR glitter platypus ornament". No results. Surprised?